First Impression: Good title and great cover design, the blurb could have been better. Overall Review: The story is pretty straight; it starts from a young kid turning a teenager followed b the adulthood. It has good sequences like college hostel experiences, adolescent days, a racing sequence of love and maturity. The author has handled the transformation well and the sequencing is good enough. The story takes off from the second chapter and slows down in the middle Few parts were not interesting, which won't draw attention from the reader. There were places where, the story was handled like a comprehension part, few lines about each character were jotted down in a sequence, which is not really necessary, some parts can be left as such for the readers to imagine. 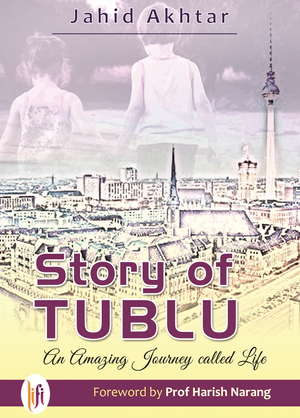 There is a racing love sequence between Tublu and Shilpa, which was a good read. It was page-turning indeed, but since the blurb and the foreword spilled many beans, it was obvious that they will depart soon. Again, the last chapter was predictable for the same reason. I would rate 2.5/5 overall and here are few pointers!